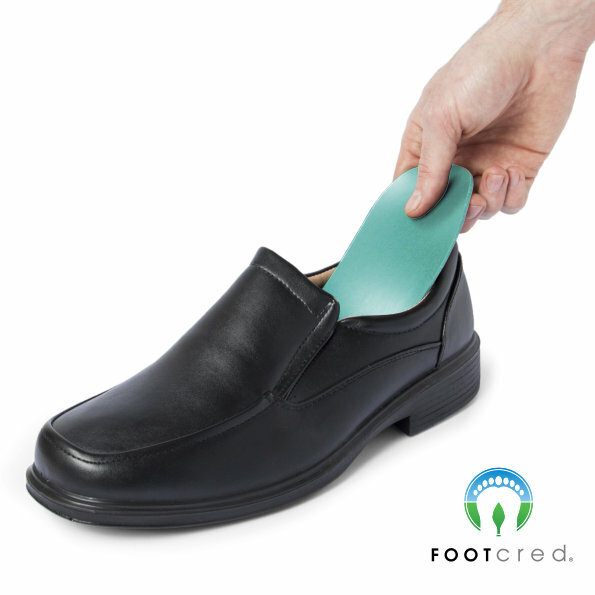 * Please note that every effort is made to supply you with the correct size insoles to fit your footwear but since many shoe, boot and trainer manufactures produce different contours and shoe shapes a slight trimming of your insoles may be required. Therefore, if in doubt, order a size above. For your convenience here is a UK-EU Footwear Conversion Guide. FOOTcred® supply the finest quality insoles and foot care products that help keep your feet and body in good condition and provide the ability to improve your stamina and fitness levels so when you take exercise or go about your daily work your feet and body are adequately supported, insulated and protected from bacteria. 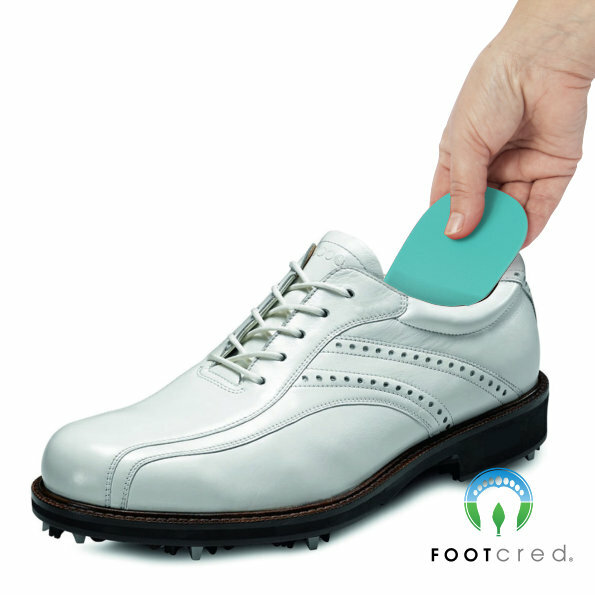 In addition to our famous insoles we supply a foot repair cream which helps to soften hard skin and repair sore and tired feet. For leather shoes, boots, leather coats and furniture we have our Dubbin clear leather restorer which cleans, fully waterproofs, protects and restores all leather materials to perfection. 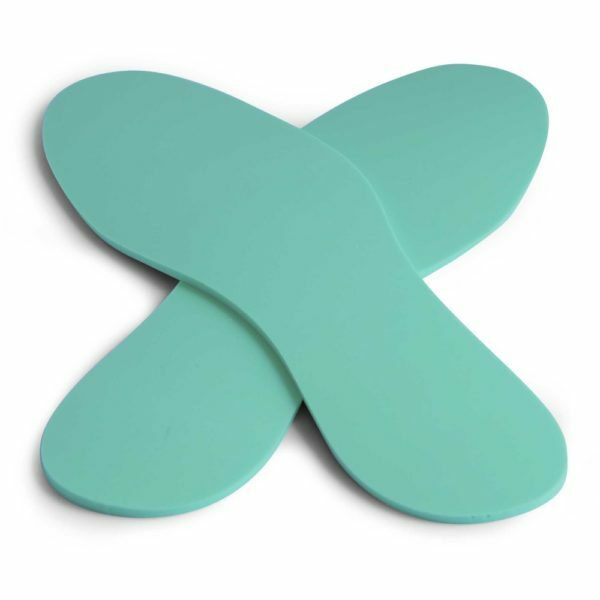 Our Insoles and Footpads are designed, manufactured and retailed by us in the UK. 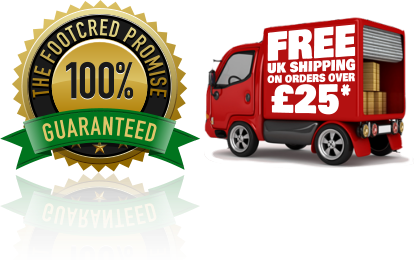 We’re so confident that you’ll love them we’re offering a free, 100% guarantee that they’ll last the lifetime of your footwear! * UK shipping is free on orders over £25! European shipping is free on orders over £35! As a waitress I was introduced to these insoles and now we all wear them in our work shoes in our restuarant, they are incredibly soft and think they will last a long time. 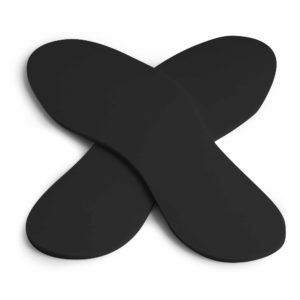 I enjoy to wear trainers but was not comfortable enough, i find these insoles at a Truck show, i then get a pair for my trainers and then go back and got some for my boots, so comfortable and have had no foot problems since. JE VOUS JURE CES SEMELLES SONT LE PIED!! We found your company at a Classic car show and we decided to buy some pairs for our boots and trainers, we have never found such a comfortable shoe product before, thank you very much. 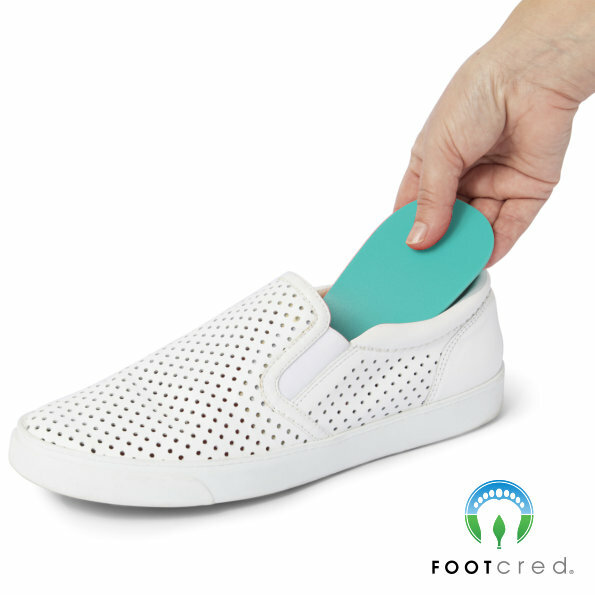 Copyright © 2019 FOOTcred® – a world of comfort at your feet. Powered by WordPress. Theme: Spacious by ThemeGrill.